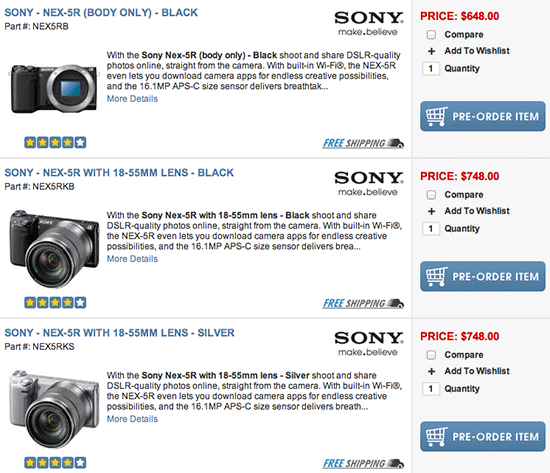 The US pricing of the Sony NEX 5R camera is currently on Samy's website and the camera is available for pre-order. With the Sony Nex-5R (body only) - Black shoot and share DSLR-quality photos online, straight from the camera. With built-in Wi-Fi®, the NEX-5R even lets you download camera apps for endless creative possibilities, and the 16.1MP APS-C size sensor delivers breathtaking stills with pro-grade defocused backgrounds. All this and more in a camera that’s about half the size of a DSLR. With the NEX-5R, the camera delivers superlative image quality thanks to an APS-C image sensor, and is equipped with improved Fast Hybrid AF – a hallmark of conventional DSLR cameras. With functionality guaranteed to appeal to photographers, the NEX-5R raises the bar for mirror-less cameras. Moreover, the newly designed body gives the camera a distinctly DSLR-like feel, making it a tempting alternative for people considering a DSLR camera. 16.1 MP APS-C size HD image sensor: The same sensor format that Sony builds into the full-sized DSLRs. With 13 times the area of the typical point-and-shoot image sensor, APS-C sensor size makes the difference between “snapshots” and “photographs,” delivering an exceptional combination of high resolution, high sensitivity and gorgeous, blurred backgrounds. Fast Hybrid AF: Sony’s advanced Fast Hybrid AF combines two technologies for outstanding performance: Phase detection auto focus for quick response that is ideal when tracking fast-moving subjects and contrast-detection auto focus for added precision. A perfect match that delivers optimal Auto Focus for fast, precise focusing in any scene. Full HD Movies1 at 60p/60i/24p: Capture HD Movies in your choice of super-smooth 60p, standard 60i or cinematic 24p, all at Full HD 1920x1080 resolution.1 AVCHD™ codec delivers stunning picture quality. MP4 codec offers smaller files for easier upload to the web. PlayMemories Camera Apps: Supports PlayMemories Camera Apps, the world’s first application download service that lets users install new camera functions as needed. 180-degree tilt-able 3.0” Touch LCD: The NEX-5R is equipped with a tilt-able LCD screen that flips up 180-degrees without sacrificing the compactness for which the 5-series is renowned for. This makes taking great self-portraits incredibly easy since users can precisely compose shots, choosing to include people or objects in the frame for more satisfying results. Control Dial: Control dial, Fn (function) button and touch screen (including touch shutter function) greatly facilitate operation and getting the shot that much easier. Picture Effect mode: There are 7 types (11 variations) of picture effects to choose from: Posterization (Color), Posterization (B/W), Pop Color, Retro Photo, Partial Color(R), Partial Color(G), Partial Color(B), Partial Color(Y), High-key, High Contrast Monochrome, Toy Camera. Each is unique and each give you a new and exciting way to make your images and videos pop. 6-image layering: The camera leverages the large, APS-C image sensor and captures six images in a fraction of a second. The camera then combines the data from the 6 different images up to ISO 25600 to create a single image. This method is used to control blur in Anti-Motion Blur mode or to get cleaner, sharper nighttime pictures in Hand-held Twilight mode. Photo Creativity Touch interface: The Photo Creativity touch interface enables you to easily enjoy the creative expression of SLR-quality digital imaging without the complicated settings. Changes can be easily made using the control dial with results seen in real time on the LCD. 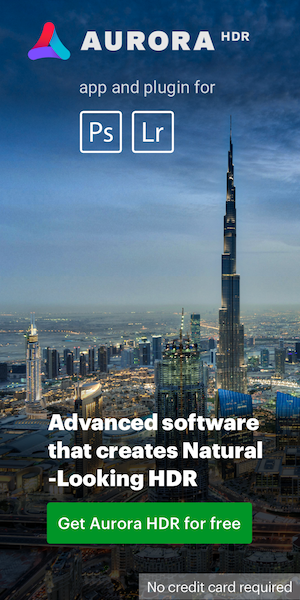 Settings include; Background Defocus, Brightness, Color, Vividness and most Picture Effects. Auto Portrait Framing: Simply photograph a person and Auto Portrait Framing will save an additional, optimally framed image in portrait or landscape orientation. Combining Face Detection and By Pixel Super Resolution technologies with rule of thirds, Auto Portrait Framing provides beautifully composed and appealingly balanced full resolution portraits. Clear Image Zoom: Utilizing Sony’s exclusive By Pixel Super Resolution Technology, Clear Image Zoom increases the effective focal length of your lens up to 2x by digitally magnifying the center of your image with nearly imperceptible degradation. It virtually doubles the effective focal length of whatever lens you’re using providing greater shooting flexibility. Convenient USB charging: Easily recharge the camera via USB charging. Simply connect the bundled USB cable and recharge the battery without removing it from the camera, either via AC outlet or PC connection. Multi-interface terminal: Multi-interface Smart Accessory 2 shoe greatly expands the connectivity options such as external flash units. Sweep Panorama™ Technology: Capture expansive landscapes automatically. Press the shutter, sweep vertically or horizontally. The camera does the rest, continuously shooting images and stitching them together. Up to 23 MP image size. Up to 202 degrees maximum sweep angle (18mm focal length). Fast Auto Focus: Some cameras in this class are slow to focus. That can make you miss the shot on fast-moving subjects like sports and unpredictable subjects like pets and babies. Sony’s fast Contrast Auto Focus system typically takes as little as 0.3 seconds and also offers continuous Auto Focus when shooting movies. This entry was posted in Sony and tagged Sony NEX-5R. Bookmark the permalink. Trackbacks are closed, but you can post a comment.